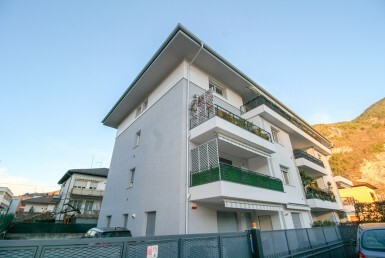 The building is located in one of the most sought-after residential areas in the city of Trento, centrally but away from traffic, in a quiet and private area. 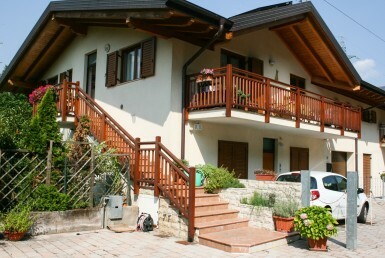 Bonelli street is a small one-way street parallel to Grazioli street, the area is very convenient and equipped with the main services all located within easy reach, close to the historic centre of Trento within walking distance in a few minutes. 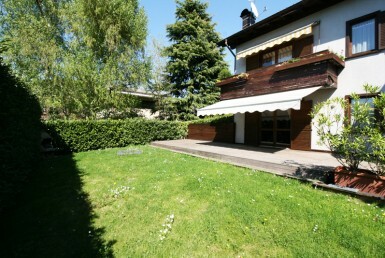 The location is therefore very strategic, but at the same time the house enjoys great tranquillity; surrounded by a small communal garden to some parking spaces, offers its condominiums the convenience of an indoor bicycle storage in a large common garage on the ground floor. The apartment is on the ground floor on four floors of the building, as the building was built on offset floors. The spacious interiors, totalling 117 square meters, are articulated: entrance hall, large living room, dining room with fully furnished kitchenette, laundry/storage room, hallway, two double bedrooms and a bathroom with shower. The apartment is kept in good condition, the parquet of the rooms has been recently refurbished, while in the living area we find the very original floor in grit well preserved. The large double glazed windows in all rooms make the rooms particularly bright and airy. Exposure is very good, the three free sides they look east/ south/west, and in the building, built in the ’70s, there are only eight apartments. The heating is centralized with a new boiler installed in 2016. 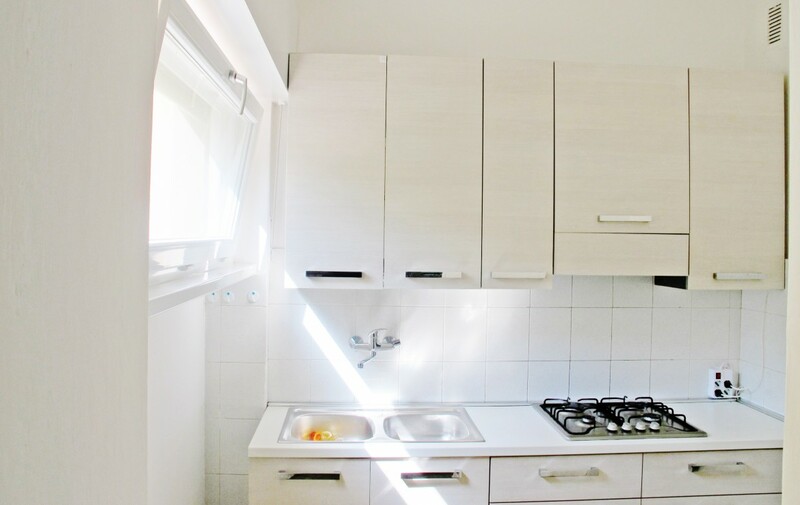 They complete the property a cellar on the basement floor, on the top floor a garret and a large windowed and ventilated room, in co-ownership with the rest of the condominium, where it is possible to lay the laundry during rainy days. 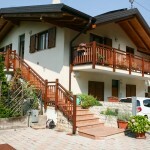 As mentioned in the house, on the ground floor there is a large 90 sqm garage. in co-ownership, currently divided into eight spaces, is mainly used as bicycle storage, the most convenient means of transport to move around the city. The building is surrounded by a condominium courtyard where seven parking spaces have been identified, besides and an agreement with the municipality also provides additional parking space on the road so that it has a parking space for each apartment.